Wait, did you mean Lollapalooza? That's not a typo. On the Sunday before final exams begin, Loyola students flock to the middle of campus to celebrate the end of the year at our very own Loyolapalooza. Thousands of students, their friends and siblings, faculty, staff, and other members of the local community convene on the Quad every April to enjoy a festival that includes music, carnival rides, and food. Organized by Loyola’s Student Government Association, Loyolapalooza is open to the public and free of charge. 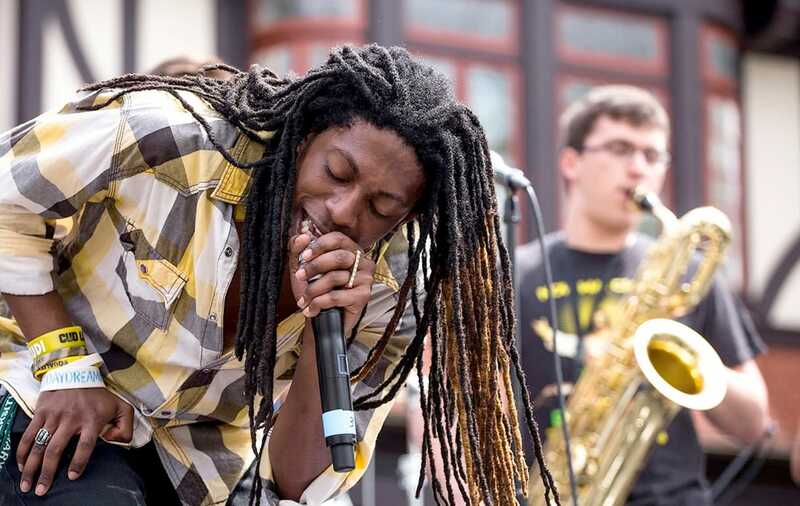 The winner of Loyola’s Battle of the Bands contest typically opens the stage for other big-name acts, which in past years have included performers such as T-Pain, The All-American Rejects, Augustana, Parachute, Capital Cities, Shwayze, Karmin, and Jah Works. Loyolapalooza features rides and attractions that offer fun for all ages: sumo wrestling, face painting, an ultimate survivor obstacle course, a wrecking ball game, and more. The festival includes an array of carnival and fair favorites. Grills and food stands line the Quad, serving hot dogs, hamburgers, chips, cotton candy, popcorn, and sno-cones—all free to Loyola students.